A neuroscientist's delightful tour of our mysterious, mischievous, entirely fallible gray matter. It's happened to all of us at some point. You walk into the kitchen, or flip open your laptop, or stride confidently up to a lectern, filled with purpose—and suddenly haven't the foggiest idea what you’re doing. Welcome to your idiot brain. Yet all of this, believe it or not, is the sign of a well-meaning brain doing its best to keep you alive and healthy. In Idiot Brain, neuroscientist Dean Burnett celebrates blind spots, blackouts, insomnia, and all the other downright laughable things our minds do to us, while also exposing the many mistakes we've made in our quest to understand how our brains actually work. 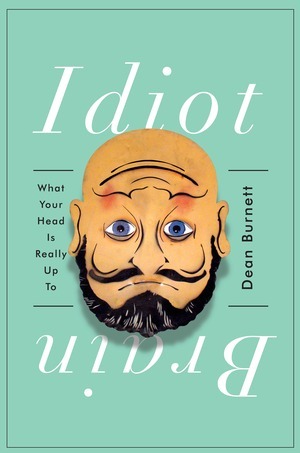 Expertly researched and entertainingly written, this book is for everyone who has wondered why their brain appears to be sabotaging their life, and what on earth it is really up to. Sales Territory: Worldwide including Singapore and Malaysia, but excluding Canada, the rest of the British Commonwealth and the European Union.